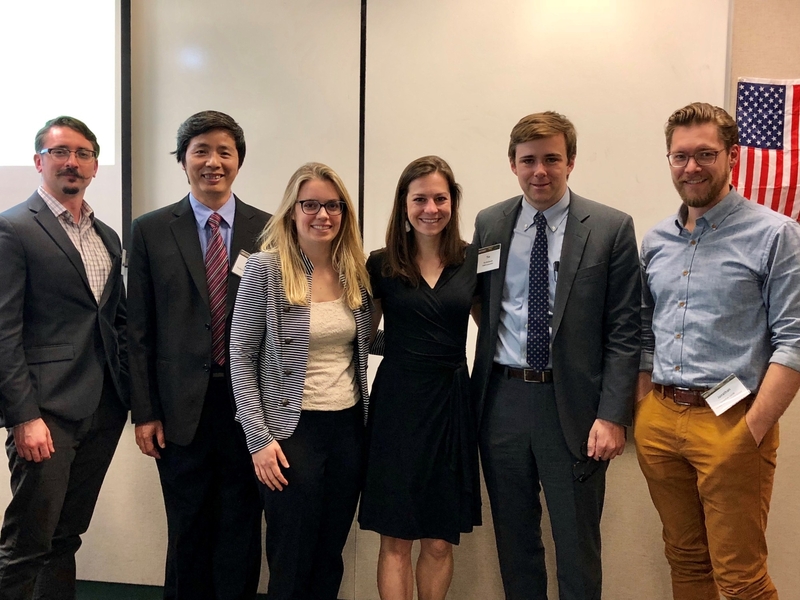 Fifteen students participated in the second annual APPAM California Regional Student Conference, held at Claremont Graduate University March 9 and 10, giving panel and poster presentations, serving as panel discussants, and more. Sara Turner (cohort '15) won second place for her poster presentation Legal Language: Exploring Argumentation and Success in State Attorney General Environmental Actions. Gabriel Weinberger ('13) also presented a poster, on Substance Use Disorder Treatment Provision in the Context of AB 109 and Proposition 47. Weinberger also served as a discussant for the panel on The Justice System and its Effect on Communities and Families. Other discussants were Juliana Chen ('15), for Emerging Policy Methods & Research Design; Weinberger; Ashley Muchow ('13) for The Effects of Immigration on Communities; and Lisa Jonsson ('14) for State Capacity and Corruption Around the World. Jonsson was also a panelist in the lunch workshop, Tips for Translating Your Policy Degree into Academia, Public Service, and Other Scholarly Practices. Erin Duffy ('15) was the discussant in The Role of the State in Achieving Better Health Outcomes, which featured a presentation and paper by Claire O'Hanlon ('13). O'Hanlon also served as a discussant on the panel Secondary Effects of Medicaid & Medicare, which featured a presentation and paper by Simon Hollands ('15). And David Catt ('16) presented the paper Bottled Water: Implications of Consumer Trends and Misguided Policy Interventions in a panel titled There's Something in the Water: Policies Directed at Water Conservation & Preservation. A well-attended, all-Pardee RAND panel, Exploring the Role of Complexity and Systems Science in Policy Research, was organized by Tim McDonald ('16) and included discussant Jonathan Lamb ('17) and panelists Dung Huynh ('16), Lauren Davis ('15), John Luke Irwin ('16), and Michele Abbott ('14). Students John Luke Irwin, Dung Huynh, Lauren Davis, Michele Abbott, Tim McDonald, and Jonathan Lamb participated in the panel on "Exploring the Role of Complexity and Systems Science in Policy Research"
In addition to the students' involvement, Prof. Phillip Armour attended on Saturday and served as the discussant for a panel on Employment Benefits and Programs and Their Impact on Behavior. A full list of Pardee RAND's participation (17 panels, presentations, and posters in all) is available on the APPAM conference website.